Last year, I made ONE MAJOR CHANGE in my skincare routine and I've never looked back. After 15 years of moisturizing with face creams, I made the switch to face oil. A trusted referral and a gift. Our friend connected us with her friend who started a natural beauty company in San Francisco. After a few emails back and forth, we received a beautiful care package from the company, Korina Naturals. The box was filled with clean, pure, and simple beauty products. One of the products we received was a natural face oil made of 13 botanical and essential oils. Something about Korina's clean + minimal packaging intrigued me. It looked like a product I would love and appeared far less intimidating than I imagined. 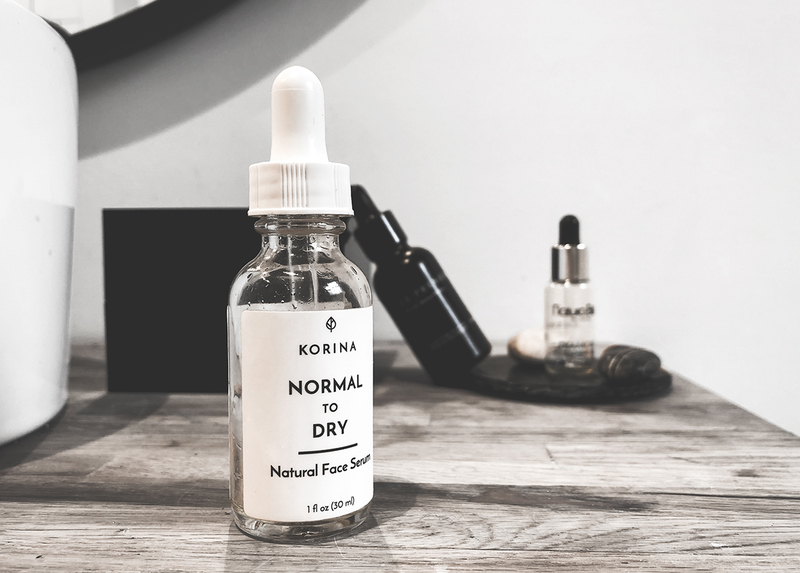 That was it – based purely on good-looking packaging – I decided to give Korina's Natural Face Oil a try…. One year later – I can confidently share that I've fallen in love with face oils and can't imagine my skincare routine without it. All my fears about face oils were shattered –– the results exceeded everything I once loved about face creams. My skin has never felt more nourished, hydrated, and evenly-toned. The biggest shocker is that face serum DOES NOT leave my face looking greasy! It's just the opposite. 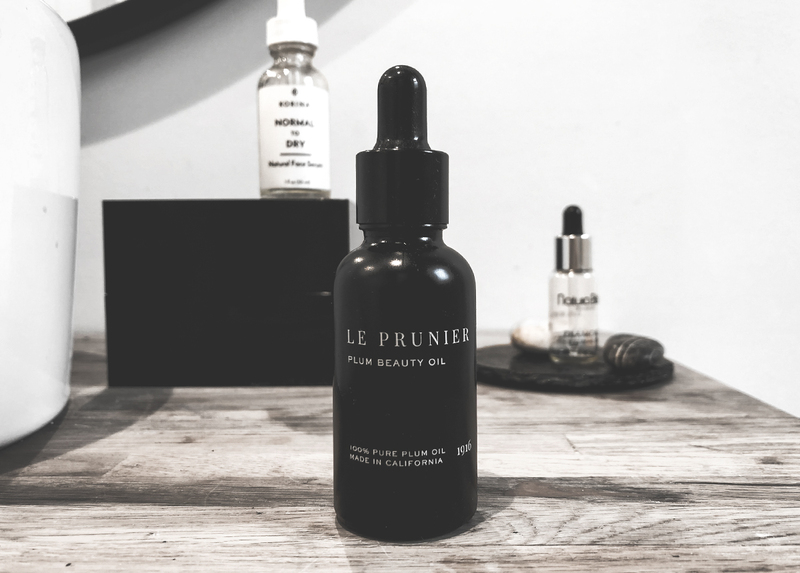 A great face oil has light yet powerful moisturizing qualities. It penetrates and nourishes the skin, leaving behind a perfect canvas for blending and applying makeup. So, say goodbye to dry, cracking, and caking concealer and hello to smooth, luscious, matte skin. It's remarkably easy to use. It's basically a 1:1 substitute for your face cream. Korina Naturals recommends to apply 4-6 drops of serum onto fingers. Rub and gently pat onto clean, dry face. Wait 2-3 minutes to apply sunscreen or makeup. Apply morning and night for optimal results. Applying face oil is a luxurious experience. 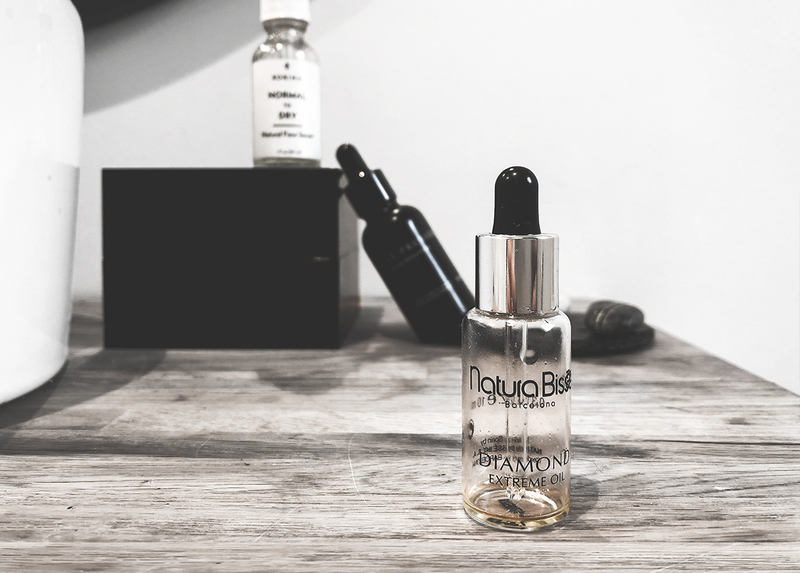 It's extremely satisfying to apply serum to clean skin, knowing that your skin is being hydrated with zero residue left behind. Face oil comes in pretty little bottles. It's extremely easy to pack when traveling and a little goes a long way. Quality face oils and serums are naturally fragrant. Korina's botanical oil blend smells amazing! 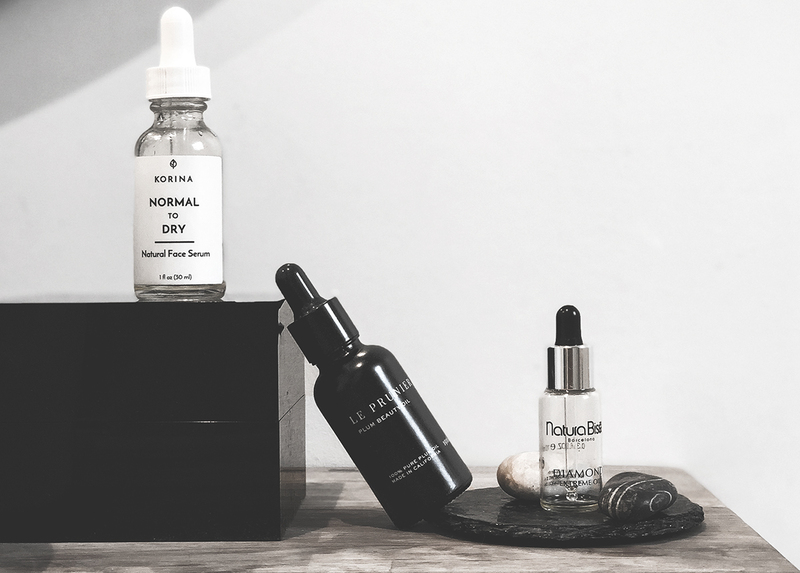 Korina, Natural Facial Serum – my go-to face oil, delicate on skin and smells incredible. I always refill this one when it runs out.